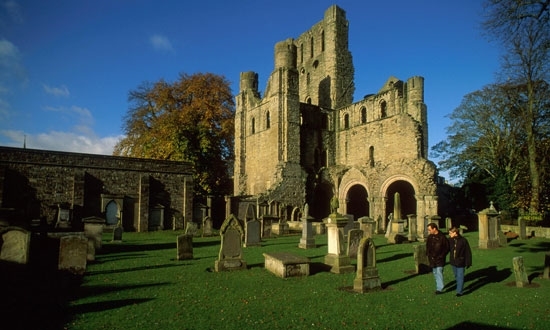 Visit the magnificent Kelso Abbey in the Scottish Borders, dating as far back as the 12th century. Kelso Abbey was built in 1128 and in the years following, it was one of the finest examples of Romanesque architecture. Finally finished, it was dedicated to the Blessed Virgin and St John in 1243. It was soon one of the largest and richest in Scotland, having a superb library in medieval times. 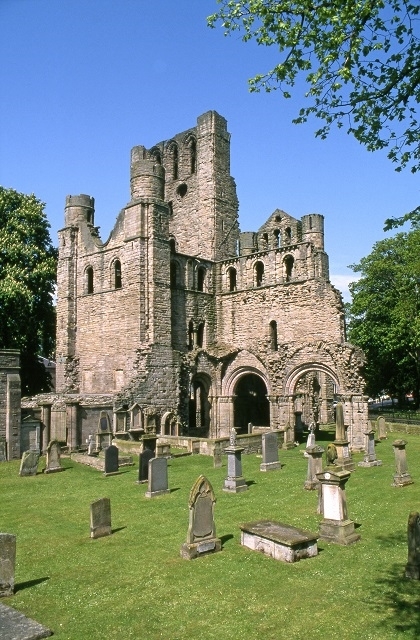 In the 12th and 13th centuries, the Abbot of Kelso was granted the right to wear a mitre, which gave him precedence higher than any other Scottish abbot. 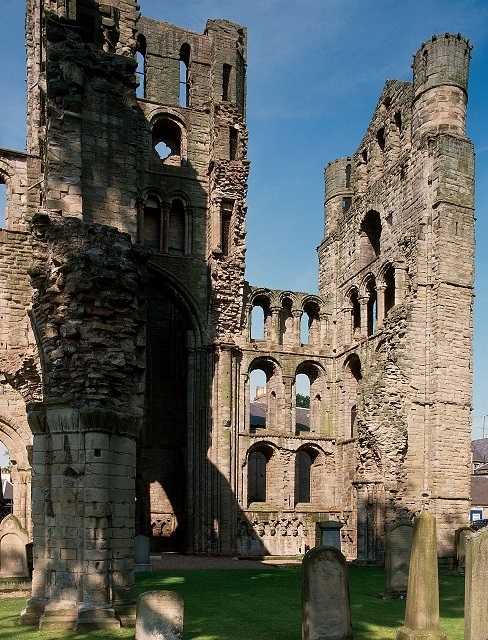 The abbey's wealth came from its vast lands, its churches, schools, farms and its granges in the Cheviot Hills. Once the grandest of Border Abbeys, Kelso was subject to cannon fire by Henry VIII’s armies during the Rogh Wooing of the 1540s. However, even in its fragmentary state, Kelso Abbey is a superb piece of architecture.